The weekend is almost here, and I am ready to give up work for the week and let loose. 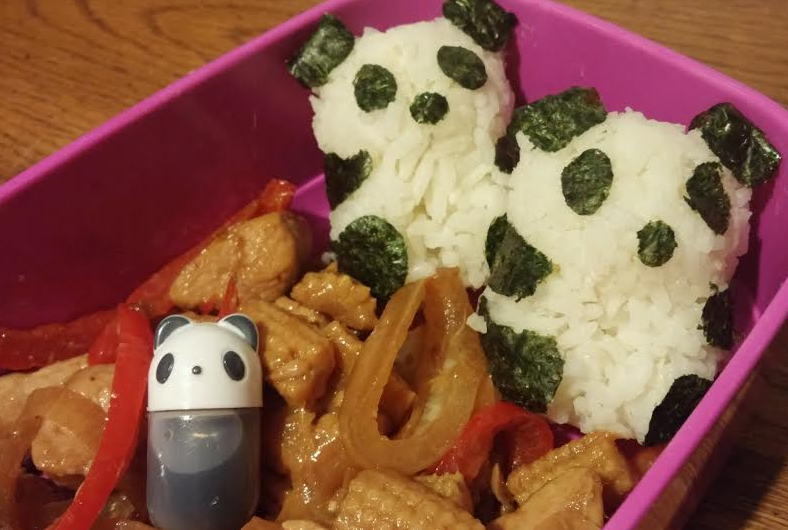 What better to start having fun then with this cute little panda bento! 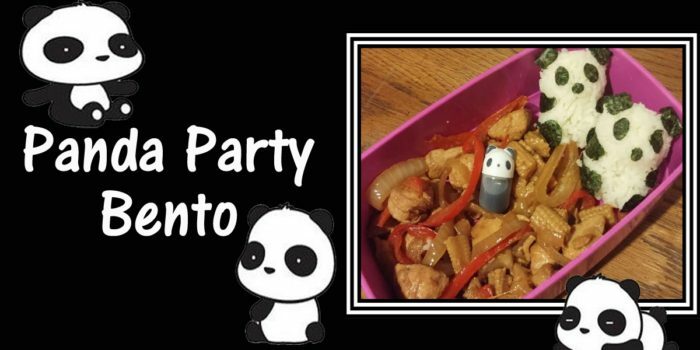 I am all about being creative with what you have, and that you don’t need any special tools to make an amazing bento box. Seriously, my favorite lunches I’ve ever done was made by shaping everything by hand and cutting out all the nori with scissors. It can be done, and it is actually a lot of fun, but it is also very time consuming. I, like many people, have become very busy. I don’t have as much time to play with my food as I once did, so I have to squeeze my crafting in when I can. Some specialty tools can definitely come in handy to make something that looks cute and complicated, even when you only have a few extra minutes. 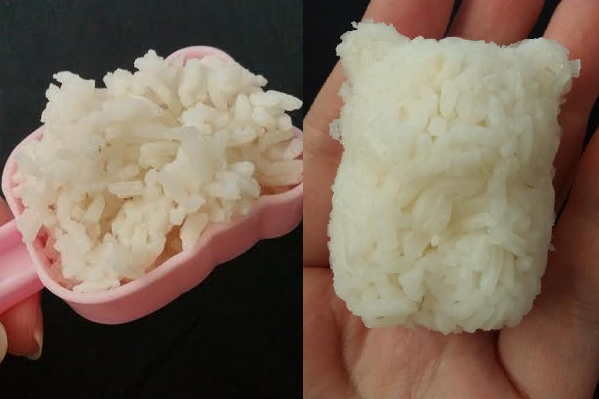 All you have to do is fill the mold with rice and push the two ends together. If your using this with sushi rice (as it is intended) the rice should stick together without a problem and be easy to work with. If your using plain white rice, like I was, it can still be done but it needs some finessing. I always say you want to shape the rice, but don’t want to mush it. That kinda gets thrown out the window with this one. 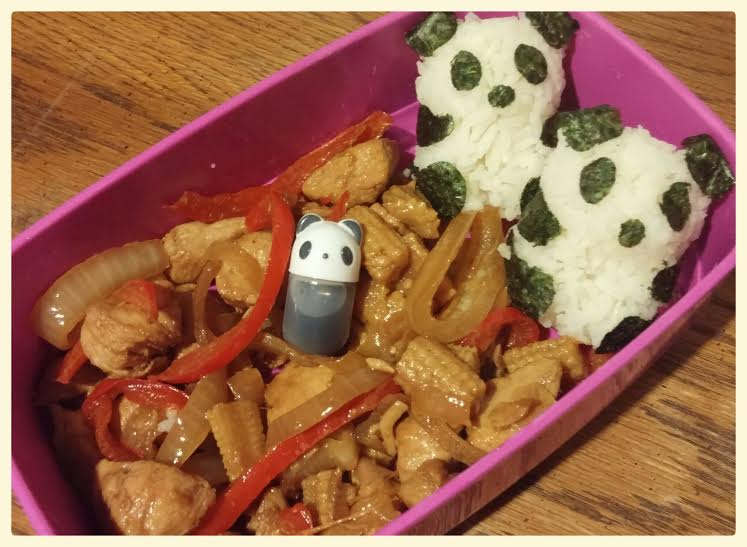 My first two pandas fell apart while handling them because the rice wasn’t sturdy enough. I fixed this by putting the first bit of rice in, packing it down, and then really packing in some more rice to make it nice and firm. With the nori punch it makes cutting the details out a cinch. 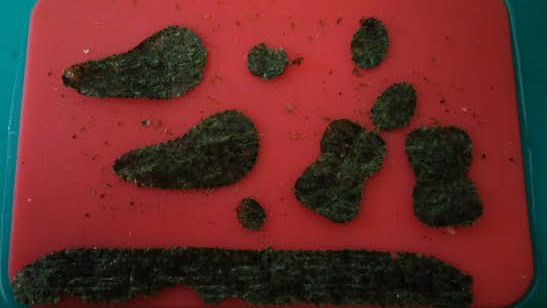 With one sheet of nori I was able to cut out enough to make 3 pandas.